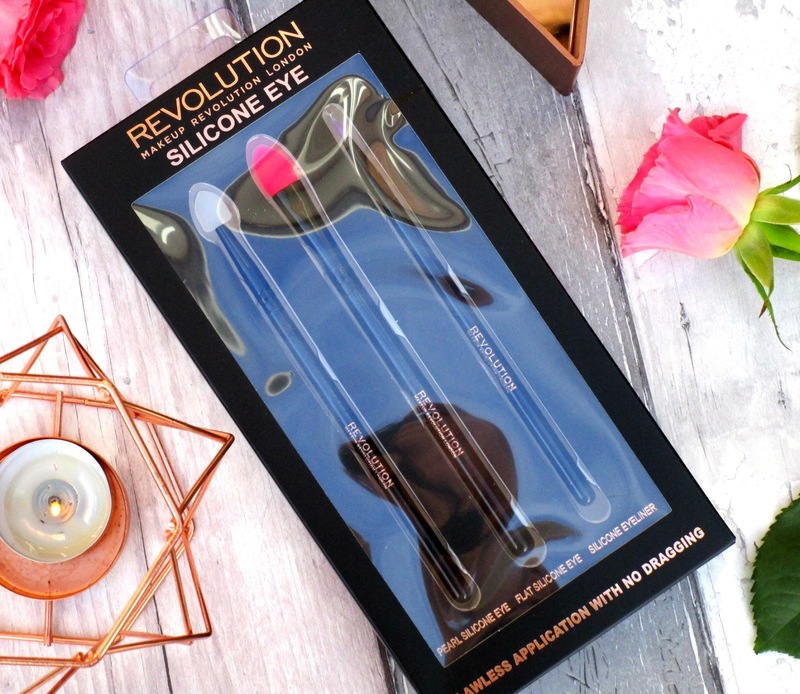 Silicone makeup applicators have become super popular in the beauty world at the moment, the idea behind these silicone applicators is that they apply makeup flawlessly whilst also being super hygienic and they don't waste or soak up any product either, it all sounds pretty amazing right! Well our friends over at Makeup Revolution have been hard at it again and have brought out their very own range of silicone applicators, so far they have a contour set for the face and an eye set for the eyes which I've been road testing recently. 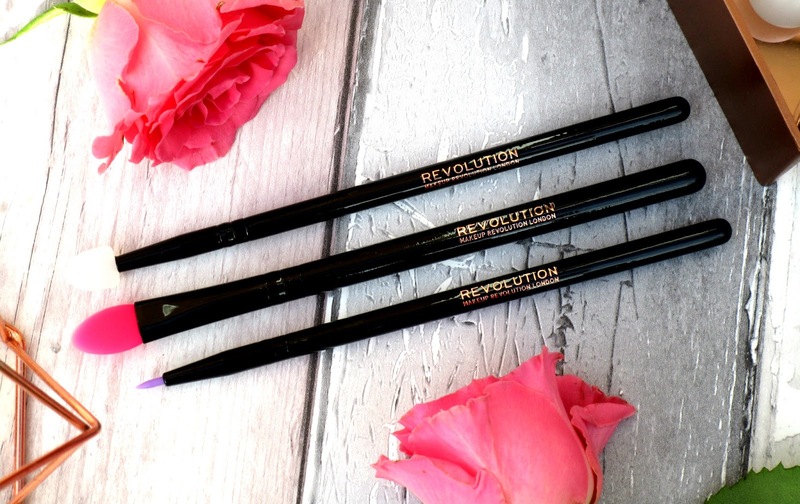 The Makeup Revolution Silicone Eye Set* (£8.00) contains 3 silicone eye brushes for flawless, precise application of liquid and cream based eye makeup without any dragging or tugging at the eyes. Now when I first saw these three silicone applicators I was like 'what the hell am I going to do with those' and 'how the hell do you use those' and after many attempts I feel like I've finally got to grips with these, I would definitely say if your a newbie to makeup these probably be wont be for you as they are difficult to master to begin with, I feel like the face set would be a lot easier to work with though. The first applicator within the set is the Silicone Pearl, I find this the hardest one to use because it's quite bendy and not sturdy is the slightest which really hinders how precise I can be. 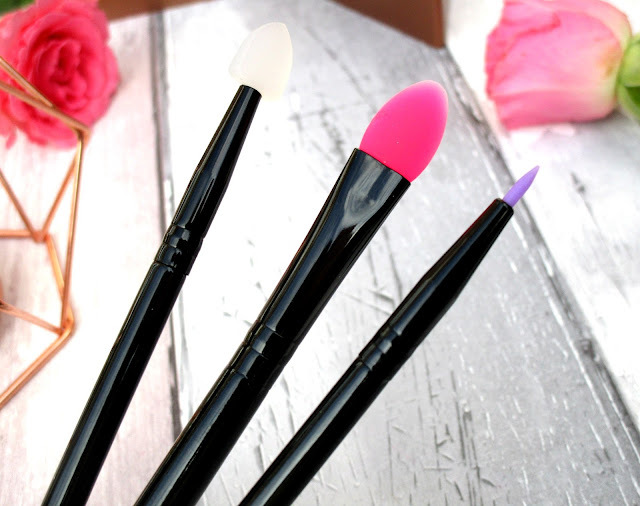 The second applicator I really like though, this is the Flat Silicone applicator and is much more sturdy and easy to use, plus it's shape is bigger which makes it more versatile. 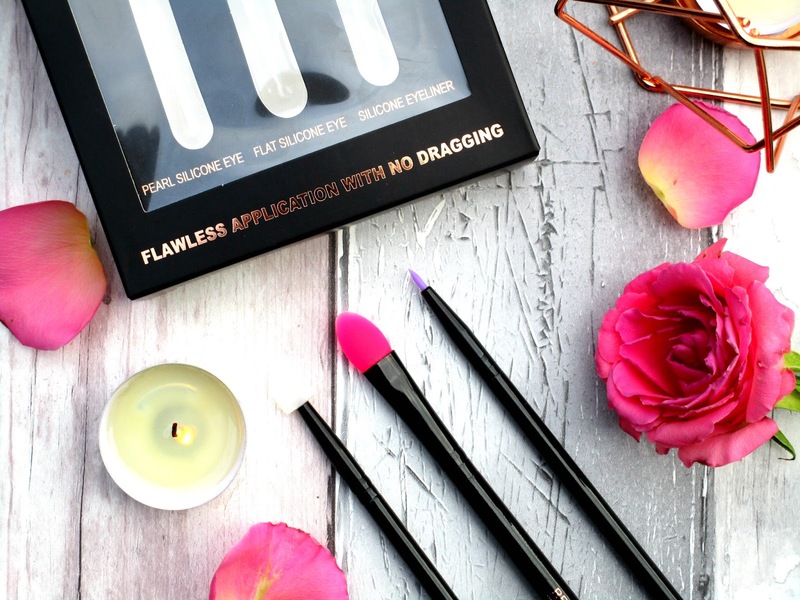 This one can be used to pack on cream/liquid eyeshadows on the lid and is great at setting down the shape of a winged out eyeshadow look, it can also be used to pat in concealer and map out any cream contouring and highlighting. My favourite brush out of the 3 is the Silicone Eyeliner applicator, this can be used with liquid, cream and gel liners, which all glide on smoothly with no dragging on the eye at all, the silicone nib is nice and flexible so it really works with the eye and it's extremely precise too, creating sharp straight lines and its super easy to create flicks/wings thanks to the silicone nib's amazing shape. It's super easy to clean too as you can just wipe the excess product off with a tissue or wipe, not like my normal liner brush which is usually rock hard the next time I go to use it. Overall I'm still 50-50 on the whole silicone applicator craze, yes their super hygienic and wont waste product but I cant see them replacing my everyday eye makeup brushes, that being said the Silicone Eyeliner applicator is immense and I've really took a shine too that, but in terms of getting a fully blending out eyeshadow look I haven't been able to master that yet with these! 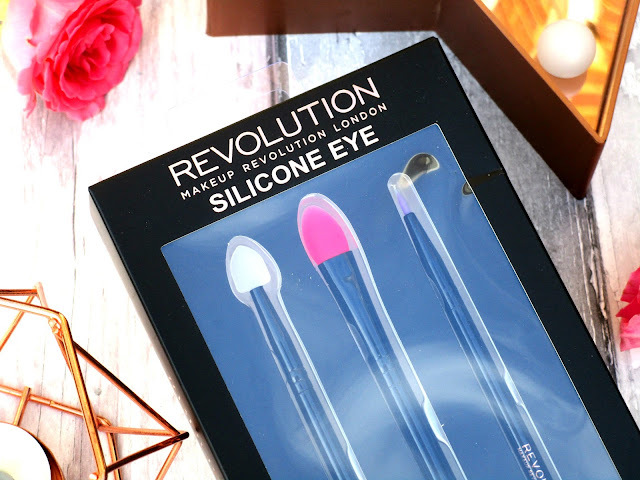 You can find the Makeup Revolution Silicone Eye Set for £8.00 HERE. What do you think of the new silicone craze beaut's? I'd love to know?